The 'FOOTIE' page is now all done, and with the new football season well underway, I thought it would be a good time to show you! 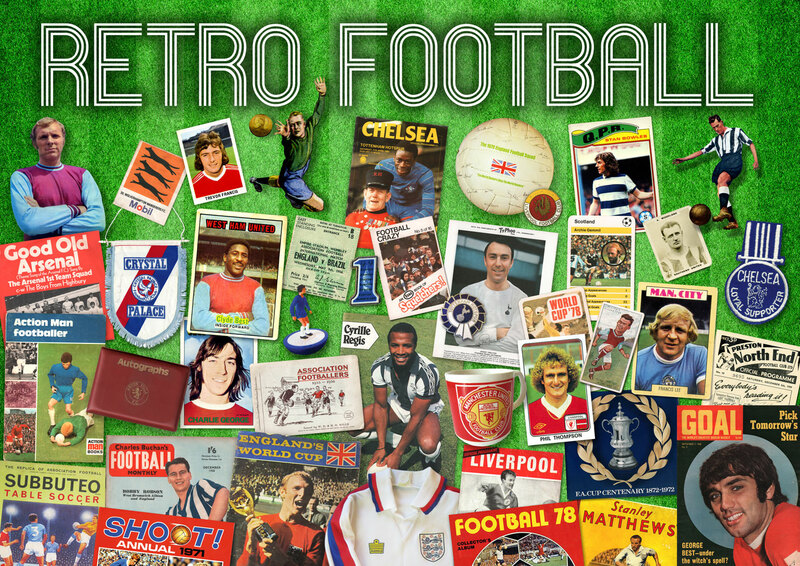 It features all my popular retro designs of famous teams and iconic players from the past. I'll carry on working on my new site very soon, which already has some of my artworks up there and will have a host of other pages including my own photos and vintage items for sale.